ANESTHESIA-FREE N o w o fAND f eVIRTUALLY riNg PAIN-FREE PROCEDURES We are proud to announce that we have added the Solea dental laser to our practice. Weâ&#x20AC;&#x2122;re the cherry on top. WELCOME! The Dalles Area Chamber of Commerce would like to welcome you to the 39th Annual Northwest Cherry Festival! A longtime favorite among locals and visitors alike, the festival is set in the spectacular Columbia River Gorge and showcases The Dalles’ deep agricultural heritage and Western roots. The Cherry Festival in 2015 expanded to three days of family-friendly activities and events, and 2018 is going to be even better! 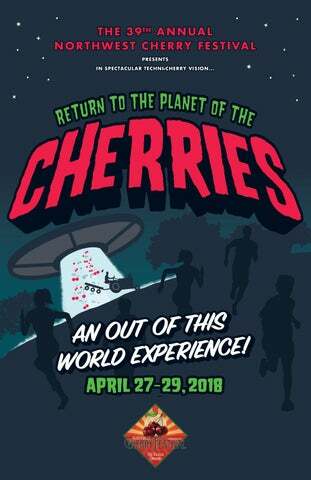 The Northwest Cherry Festival takes place in downtown The Dalles from Friday, April 27 through Sunday, April 29, 2018. WHEN SAT 4/28 12pm - 6pm Sun 4/29 10am - 4pm WHERE Cherry Fest Grand Entrance Washington St & 2nd St Dalles' Second Agricultural Job The Fair is set for Saturday & Sunday, April 28 12PM - 6PM & 29 10AM - 4PM. All applicants and interested parties are welcome. This event is open to the public, giving attendees a chance to visit with local growers, producers and orchardists about job opportunities. Local high school and college students are also encouraged to come. Oregon Cherry Growers ,The Dalles Fruit Company LLC, Columbia Gorge Fruit Growers, Polehn Farms Inc., Orchard View Farms, and more will be in attendance to provide information and meet with prospective applicants. Parade while on a trip to Whitefish, Mont. straight and wave to everyone. “The cherry festival has been a wonderful thing and I’m glad it’s still going on,” she said. Although pleased to be part of the festivities, Pashek felt other people in the community deserved more recognition. “It feels funny. Strange. I know a lot more people who could do this better than I will,” she said. Once she’s got the wave down, Pashek could like to demonstrate her new skill from the back seat of a convertible, preferably blue, although she is flexible on the color. Lisa Farquharson, executive director of The Dalles Area Chamber of Commerce, which organizes the event, disagreed with that assessment. “Barbara Pashek has an amazing sense of community and service. “I don’t know how to do the parade wave yet, but I’ll practice on the train home,” she said. farmer’s market. She is known for her outgoing personality and has not hesitated to speak out at public meetings when she disagrees with the direction a governmental entity is taking. For example, in 2012 she challenged The Dalles City Council for considering drew her and the sunny skies in The Dalles called to her. She taught in Dufur for several years before marrying Phil Pashek in 1968.
found workable solutions to city problems. She served on a committee in 2012 to set seasons for burning of natural debris to avoid a total ban on outdoor fires, as requested by some residents. Saturday morning, April 26, prior to the 39th annual Northwest Cherry Festival parade. The couple has attended the King Bing and Queen Anne coronation only once, a decade or so ago when John Byers’ parents, John and Marilyn Byers, were crowned. John is pleased that he and Sandy will follow a long tradition by being ambassadors for the event. “This is a farming community, and we feel honored,” he said. took over the orchard five years ago. John and Sandy got married 15 years ago. later developed the Bing cherry. SERVICES INCLUDE: Personal Care Medication Management Bathing Housekeeping Transportation Meal Prep Pet Care and More! Call today for a Free in-home care assessment! The Cherry Festival Parade See us downtown after the parade! Join us for live music Tuesday, Friday and Saturday nights. Happy Hour Monday through Thursday 4pm-7pm and Tuesday 4pm-9pm Minors welcome! A Community Story Google’s story in The Dalles began in 2006 when we opened our first data center. We love it here, and work hard to support our communities where we live and work. To date, we have awarded over $2 million in grants that impact Wasco County. Our Support in The Dalles One-to-One Student Technology Google has donated $240,000 to D21 to provide one-to-one technology for middle and high school students, offering greater access to the internet, digital course materials and state testing. Hotspots at the Library This spring, Google announced additional funding for The Dalles-Wasco County Library’s WiFi hotspot lending program. The program, created through Google funding in 2017, allows patrons to check out internet access like a book! Google Wind Challenge In March, the Google Wind Challenge brought 200 middle and high school students together with mentors from the community to design the fastest and most powerful wind turbines. Our story isn’t finished yet. For more information about our work in The Dalles, visit google.com/thedalles. 2114 West 6th Street – 541-298-2771 Cherry Cinnamon Rolls (large orders available with pre order) Cherry Milkshakes, Cherry Cobbler, Black Forest Haystack Cake, Cherry Lemonade, Cocktail Specials, Cherry Moscow Mule, Cherry Drop, Chocolate Covered Cherry, Cherry Bomb. 205 Court Street – 541-296-5666 Cherry Lemon drop, Pom Cherry Cider, Rum Cherry Fizz, “Cherry Avenger” – Cherry Sorbet, “U.S.S. Cherryprize” – Carrot cake with dried cherries and hazelnuts, Pork with Cherry whiskey sauce, Cherry vinaigrette salad. 204 East 2nd Street – 541-769-1364 A spa package with Cherry shampoo and cologne. Cherry bandana or bow and treats. 221- East 2nd Street – 815-993-2880 Homemade Cherry dessert creations for only $3! And Cherry Hand pies. 400 East 2n Street – 541-296-3404 BBQ Pork ribs with a BBQ cherry glaze. 2434 East 2nd Street – 541-296-4994 Poppins” (cherry cocktail) RETURN TO THE PLANET OF THE“Cherry CHERRIES! April 20th you may stop by Rivermark Community Credit Union to vote for your favorite candidates. Health Care That Comes With Heart. Since 1986, One Community Health has won the hearts of many people throughout the Gorge. Independent surveys show 96% of our patients refer us to friends and family. Patients thrive through an integrated approach to medical, dental and behavioral health. We serve Hood River, Wasco, Klickitat, Skamania and Sherman Counties with convenient locations in Hood River and The Dalles. Come experience affordable and compassionate care. 300 E 4th St The Dalles, OR 97058 License #:6256394 Over 15 years of experience as a Farmers Insurance agent. Tim and Leta Barclift and Bandit, too. hiking, skiing, backpacking, hunting, fishing, camping etc... Are you ready for your adventure? go to our website to apply. 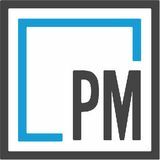 ONLINE DISPLAY RATES ONLINE DISPLAY All campaignsRATES include mobile! All campaigns include mobile! ONLINE DISPLAY RATES ONLINE DISPLAY All campaigns include All campaignsRATES include mobile! mobile! All All campaigns campaigns include include mobile! mobile! is APPROVED. No further production will take place without your written consent. Please respond to this proof with your approval or changes required. Try it as a pie shake®! Your place for pie! Nearly 20 flavors every day, including our award-winning cherry pie. Since 1978, our company has been a constant in the Gorge’s ever-changing real estate landscape. Our agents have an average of 15 years of Gorge real estate experience. In 2017, they represented nearly 700 buyers and sellers for a total of nearly $200 million in sales volume in our local communities. the Gorge’s ever-changing real estate landscape. There’s a Windermere agent in your circle! Our agents not only live, work and play here, they also donate their time and resources for the benefi t of our Gorge home. At Windermere, being involved in our Our agents have anisaverage of 15 years of Gorge real community a long-standing tradition. ANY NEW Bishop Septic Service or Equipment Rental in Wasco, Sherman, Hood River or Klickitat County. SHOW Free Admission 323 East 4th Friday 5p-8p Saturday 10a-6p Sunday 11a-3p Start Your Dreams Here! We put our money where our heart is: the community. Let us help you find a Cherry of a deal! For all things Real Estate give us a call. PROMOTIONAL OFFERS END 6/30/18. PROMOTIONAL OFFERS END 6/30/18. *0% A.P.R., down, financing for 84 months on purchases new Kubota L2501DT an LA525 loaderwith with66" 66"square-back square-back quick *0% A.P.R., 20% down,20% financing for 84 months on purchases of newofKubota L2501DT plusplus an LA525 loader quickattach attach from participating dealers’ in-stock inventory is available to qualified purchasers through Kubota CreditCorporation Corporation USA; USA; subject bucket frombucket participating dealers’ in-stock inventory is available to qualified purchasers through Kubota Credit subjecttotocredit credit approval. Example: 84 monthly payments of $11.90 per $1,000 financed. Example amount based on sales price of $17,325.00. Each dealer sets approval. Example: 84 monthly payments of $11.90 per $1,000 financed. Example amount based on sales price of $17,325.00. Each dealer own price. Prices and payments may vary. Offer expires 6/30/18. Optional equipment may be shown. **Only terms and conditions of Kubota’s sets own price. Prices andLimited payments mayapply. vary.For Offer expires 6/30/18. Optional be shown. **Only terms and conditions of Kubota’s standard Warranty warranty terms see your Kubotaequipment dealer or gomay to KubotaUSA.com. standard Limited Warranty apply. For warranty terms see your Kubota dealer or go to KubotaUSA.com. CHERRY FESTIVAL SPECIALS: CHOCOLATE CHERRY STOUT CHERRY CITY PIZZA SERVED ALL DAY! BIG SELECTION OF USED TIRES! Disclaimer: Marijuana has There intoxicating influence of habit-forming. this drug. mayeffects becan health risks associated with consumption of this product. and may be Marijuana impair concentration, coordination, and judgment. Do not operate a vehicle or machinery under the influence of this drug. There may be health risks associated with consumption of this product. For use by adults twenty-one or older. Keep out of the reach of children. (541) 296-3515 HATTENHAUER DISTRIBUTING PROVIDES ENERGY, DISTRIBUTION AND TRANSPORTATION SERVICES TO BUSINESSES IN OREGON AND WASHINGTON HATTENHAUER DISTRIBUTING CO. (HDC) IS FAMILY OWNED AND HAS BEEN SERVING PARTS OF OREGON & SOUTHERN WASHINGTON FOR OVER 50 YEARS. HDC OWNS AND OPERATES RETAIL GAS STATIONS, COMMERCIAL CARDLOCKS, CONVENIENCE STORES AND FAST FOOD CONCEPTS. HDC WAS ESTABLISHED IN 1988. IT HAS BEEN A FAMILY OWNED BUSINESS SINCE 1960. YOU CAN EXPECT GREAT CUSTOMER SERVICE AND TOP TIER FUELS SUCH AS SINCLAIR AND 76. Cascade Cherry Growers is a grower owned cooperative serving The Dalles since 1925. Formerly known as Oregon Cherry Growers. NOW WITH 100% MORE WAGONS! Pick the best cherries this summer, and the right health plan next fall. Open enrollment is Nov. 1 â&#x20AC;&#x201C; Dec. 15. Visit OregonHealthCare.gov Or call 1-855-268-3767 toll-free. We are committed to a , , and approach to the prevention and treatment of dental issues in children. Tackle built and proven by the anglers who fish locally. Visit our website for more information on our custom products and much more! The 39th Annual Cherry Festival in The Dalles, OR brought to you by The Dalles Chamber of Commerce and community sponsors!